A while back we posted an article from Jen Wittman, a health expert and thyroid coach who started experiencing symptoms related to her thyroid health after giving birth. That article focused on habits of people with thyroid and autoimmune disease and she explained that mindset is really important part of the healing process. Jen’s passion and expertise in helping people heal is remarkable and when we talked with her again about posting an article she explained how hard it can be to get a handle on sugar cravings. So today’s article centers around why we crave sugar and how to stop it in its tracks. Actually, I’ve done pretty well quitting sugar — but only after years of trial and error. See, I’d quit for a while, and be so good, and then something would creep up on me… lurking… hiding around an unexpected corner… waiting to POUNCE! Almost every time a sugar craving, there would be some sort of anxiety or overwhelm in my life behind it. Occasionally I found that they were triggered by seeing a delicious dessert. I’d be at a restaurant or a party, and someone would have something—usually chocolate, let’s be honest—that just looked sooo good. And those are usually the easier ones to quell, actually, because I’d planned ahead for what I would say or do when offered a dessert. The much harder ones are the ones that creep up, seemingly out of nowhere—BOOM!—in the quiet moments when you realize that something in your life is just off. Maybe it’s your health, your job, a relationship. That’s when the cravings would start. Science is learning more and more about why we have these sugar cravings in the first place — and what we can do to fight them. Nowadays, though, we can get sweet foods any time we want, but our brains and bodies haven’t caught up with this environmental change. (Evolution is slooooow.) So, we still get the hit of pleasurable brain chemicals rewarding us for finding and eating sugar, even though the “finding” consisted of going to the freezer and pulling out a carton of Ben & Jerry’s, rather than climbing an apple tree or gathering wild strawberries. And who doesn’t want a hit of some pleasurable brain chemicals when we’re feeling anxious, overwhelmed or panicked? Eating sugar is a self-perpetuating cycle, too. When we eat sugar, our brain releases the feel-good chemical serotonin. When we get that signal, obviously we want to keep feeling good, so we want to eat more sugar. That’s why one morning doughnut can turn into two or three, or you end up eating the entire bowl of M&Ms when you meant to have just a few. THAT’s why sugar cravings are so hard to beat: because our bodies are hardwired in multiple ways to take in sugar—without any breaks for when we’ve had enough. How to stop a craving in its tracks. The good news is, because I’ve been fighting off these crazy cravings for quite a while, I’ve got the goods on how to handle it. I’ve developed five fool-proof ways to fight off a sugar craving and stop it in its tracks. Eat a heaping spoonful of coconut butter or a buttermint. The good fats and protein in these little treats help you feel full, meaning you just don’t have any room for whatever sweet treat you’re craving. Both coconut and mint are flavors we naturally associate with sweet, too, so you’ll feel like you’re getting a treat. Drink some Honey/Lavender Tea. The honey gives you a sweet hit and the lavender relieves stress. And why would you want to relieve stress? Because there is credible scientific evidence that stress can cause sugar cravings, and relieving stress is a good way to fight them. Lavender is another one of those flavors that we naturally associate with sweets, too, so you only need a bit of honey to feel satisfied. 2-minute Transformation. 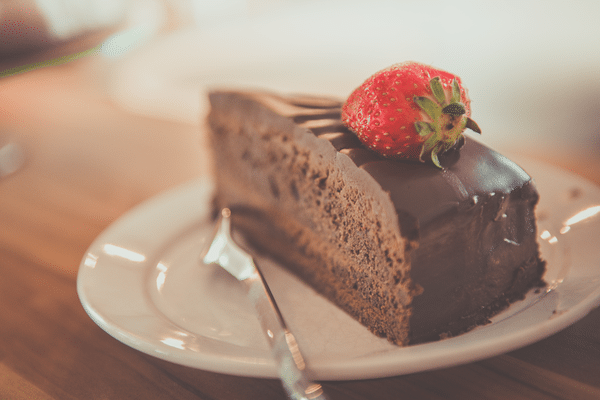 Did that last statement about stress being related to sugar cravings ring a bell for you? The next time you feel a sugar craving coming on, take 2 minutes to pull out your journal (or any random piece of paper) and write down what was happening right before. Many times, just the act of acknowledging the stress can help reduce it. Plus, if you keep this up for a week or two, you’ll have a pretty good record of your stress triggers. What kinds of situations trigger you to feel stressed? What can you do instead of diving into the cookie jar? This kind of self-awareness allows you to really get to the root of those cravings so that you have more tools to deal with them every time they come up. Get up from your desk and take a 3 minute walk (outside preferably). Is there nothing a short walk can’t cure? Walking distracts you from your craving, you get more oxygen, wakes you up (because we can crave carbs/sugar when we’re tired), allows you to clear your head and relax. Pretty amazing. Tapping away your sugar cravings. Tapping is a part of the Emotional Freedom Technique (EFT) method that relies on pressure points and positive affirmations to help you break through mental blocks. It’s my new favorite go-to tool for fighting the sugar dragon. Learn more about how you can address anxiety, depression, overwhelm, sugar cravings, leaky gut, adrenal health, hormone balance, gluten-free eating and more with Jen’s free digital download of her popular book, Healing Hashimoto’s Naturally. How do you stop your sugar cravings? Let us know in the comments below! Jen Wittman—of Thyroid Loving Care—did something amazing, she reversed her Hashimoto’s hypothyroidism naturally without taking any medication. And today she is offering a free digital copy of her book, Healing Hashimoto’s Naturally. 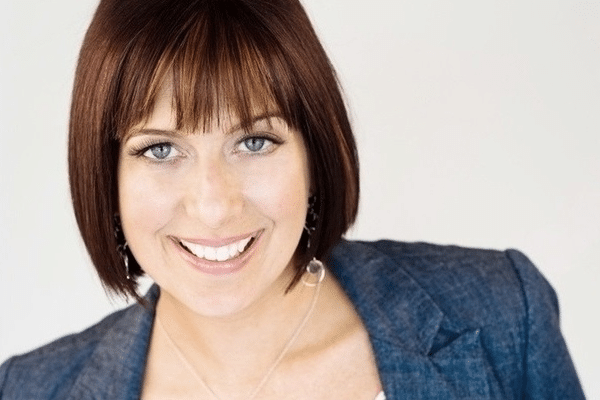 Jen’s book talks about how she became sick, what happened when her doctors were not helping her and the steps she took to reverse her Hashimoto’s Hypothyroidism. Healing Hashimoto’s Naturally is packed with helpful resources, tips and more. If you are suffering from hyperthyroidism, hypothyroidism, Hashimoto’s or an autoimmune condition, this book could be a great help for you! I had a session of Accupunture on my ears and it completely removed my sugar craving. I recently did Accupressure on my ears in the same area and the craving went away. In all honesty, I don’t suppress a sugar craving- I indulge it! Only I don’t opt to do it with sugar, I use stevia instead and I don’t feel deprived. Sometimes a bowl of berries with a packet of stevia will do it for me. I crave chocolate/sweet mostly after a meal. I really am not stress.